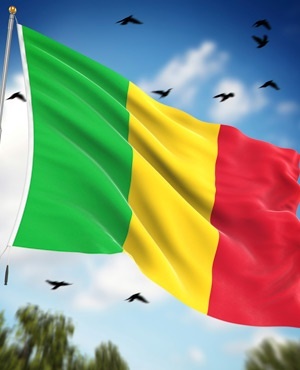 Mali's constitutional court on Wednesday gave 24 candidates the green light to run in the country's upcoming presidential election, set for July 29. Six candidates saw their bid rejected in the body's final decision. Last week, the court had accepted 17 candidates and rejected 13 in a provisional decision. Former prime minister Cheick Mohamed Abdoulaye Souad - known as Modibo Diarra - and former ministers Choguel Choguel Kokala Maiga and Mountaha Tall were allowed to take part in the poll after an initial rejection. Harouna Sankara, a religious leader from embattled central Mali, was also allowed to run, according to the court judgement. Last week, candidates who were turned down were asked to provide a list of elected leaders supporting their bid, the court added. Mali's incumbent president Ibrahima Boubacar Keita and opposition frontrunner Soumaila Cisse's candidacies were accepted, as well as those of another former minister, Mohamed Ali Bathily, and a business woman, Djeneba N'Diaye. Campaigning is expected to start on July 7. Planned elections have been repeatedly postponed since 2013, in part because of security concerns over Islamist extremism. Mali has been badly hit by an Islamist insurgency in the north which has spread south and into neighbouring countries Burkina Faso and Niger despite peace efforts. France, the former colonial overseer, intervened militarily in Mali in 2013 to help government forces combat al-Qaeda-linked jihadists.